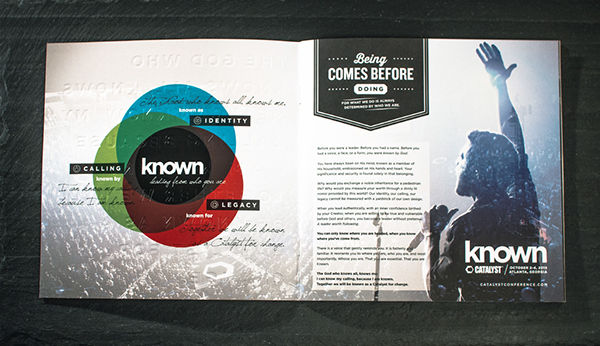 Being comes before doing, for what we do is always determined by who we are. 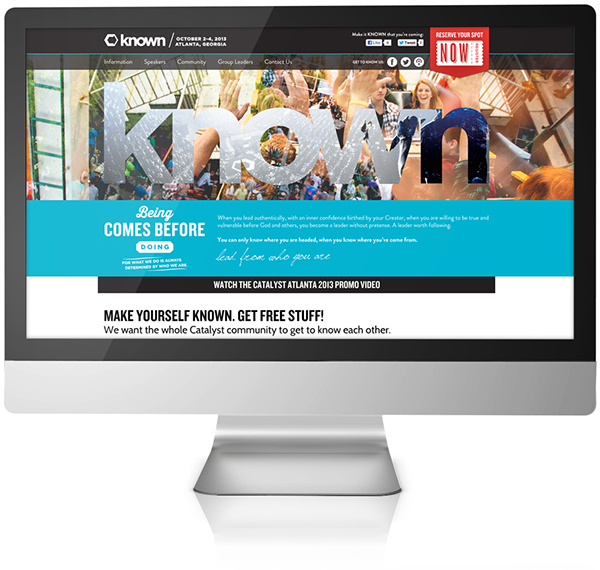 You will only know where you are headed, when you know where you’ve come from. 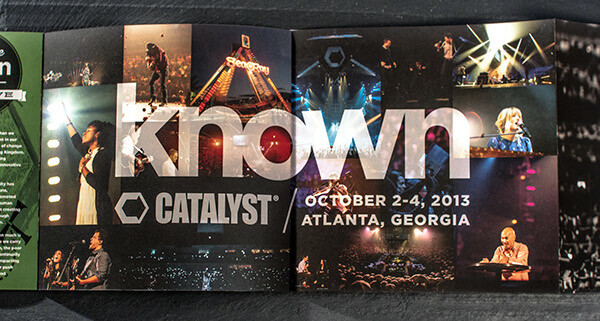 Catalyst Conference's 2013 event, held in Atlanta on October 2-4, gathered 13,000 doers, influencers, cultural architects and agents of change to create a dialogue around the theme "Known" – the idea that, as leaders, we each have a unique identity, calling and legacy; when we lead authentically from a place of knowing who we truly are, we will become leaders worth following. 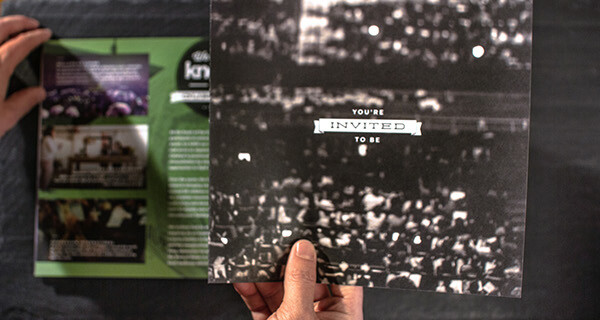 The Known theme was visually employed by layering design (photography, text, graphics, etc.) 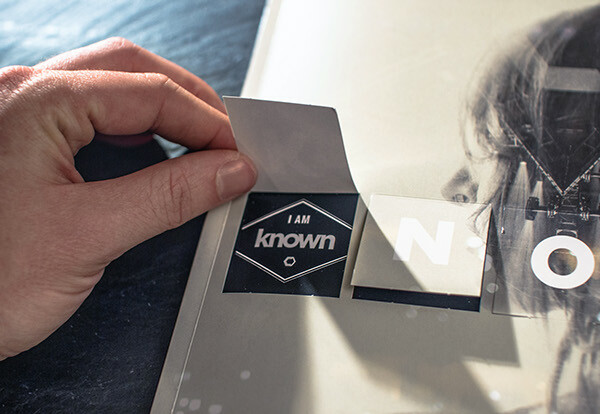 to drive the idea that to really be "known" is a process of pealing back layers of pretense, and seeing through to what's underneath. 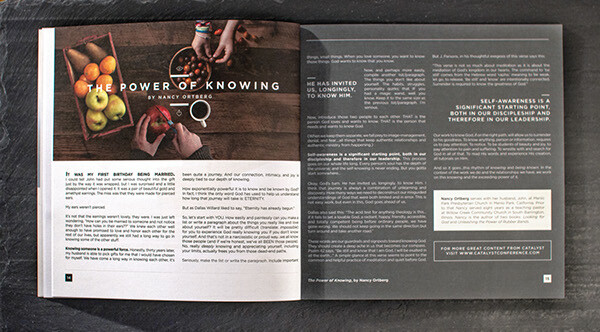 In the design, objects show through one another, on top of one another, and blend with one another. 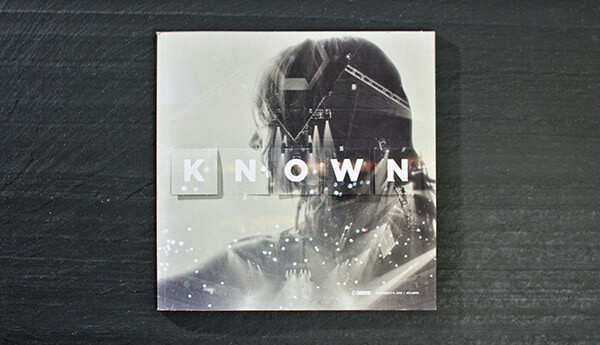 The print pieces tangiby employ the process of "revealing" in order to take something that is "unknown" and make it known. 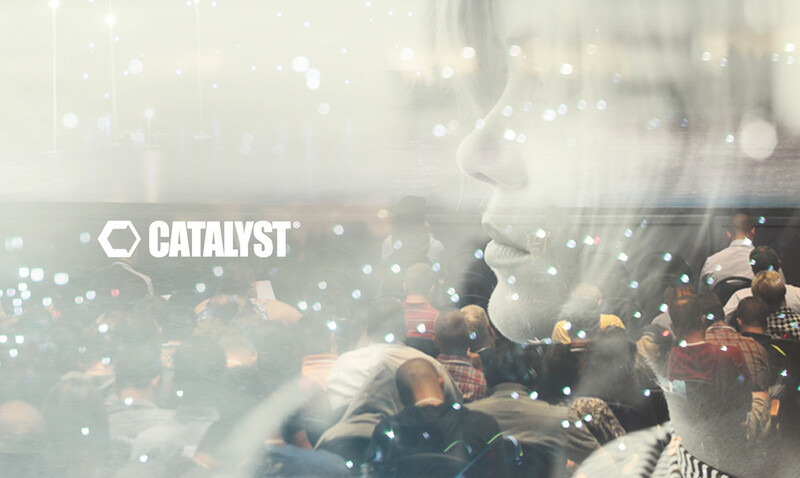 Catalyst Conference has developed strong event photography over the years and it was used as a key asset for this year's campaign. 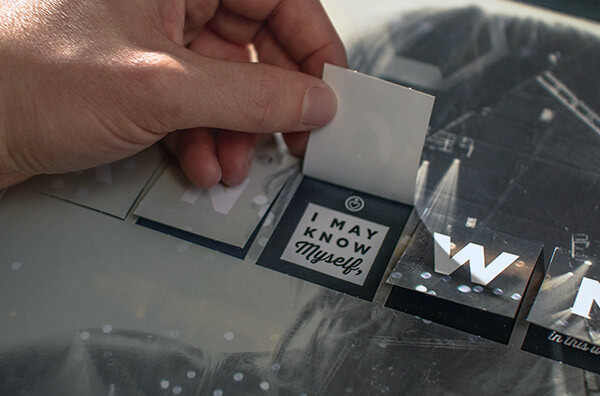 The photographs were screened and turned into "double exposure" compositions, displaying the "layered" visual cue. 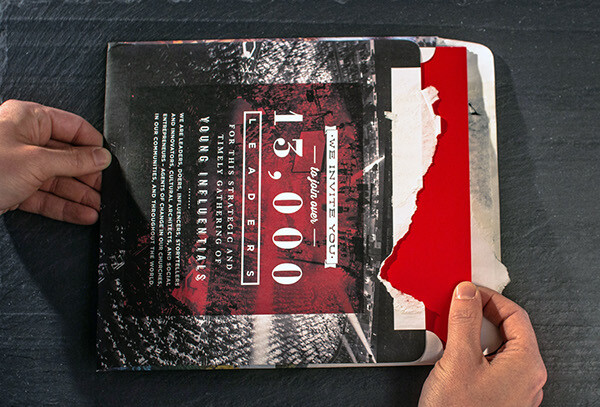 Since the photographs then became complex, almost abstract-like backdrops, strong and clean typographic lockups were then created to sit atop the photography and still boldly present the key messages. 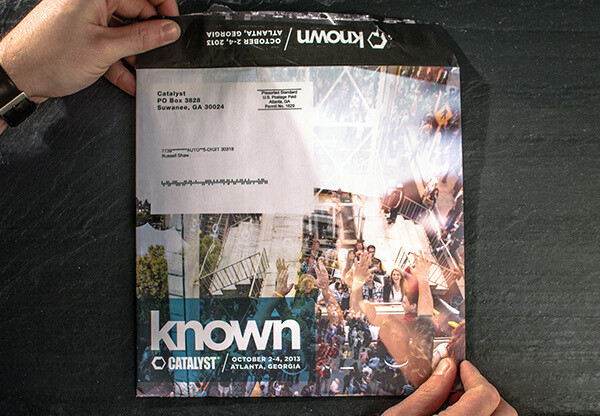 Direct mail envelope to leads. 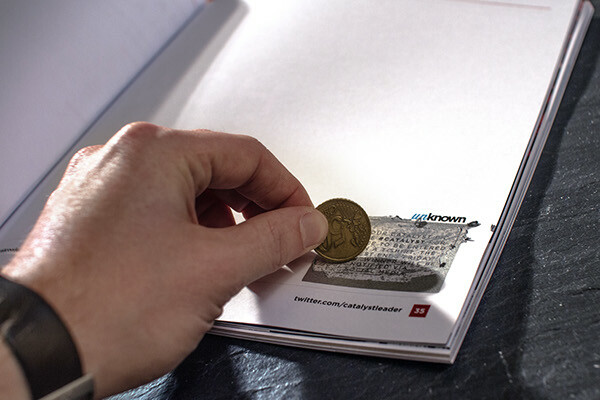 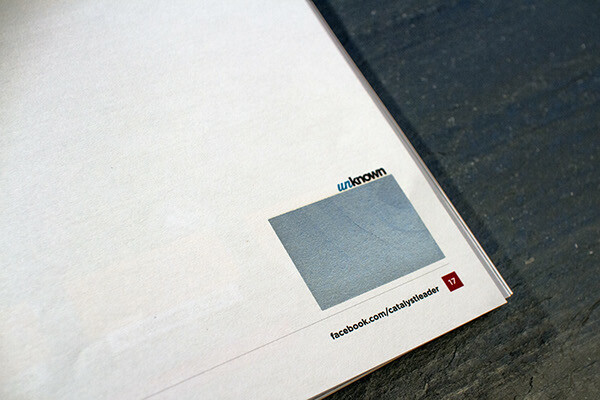 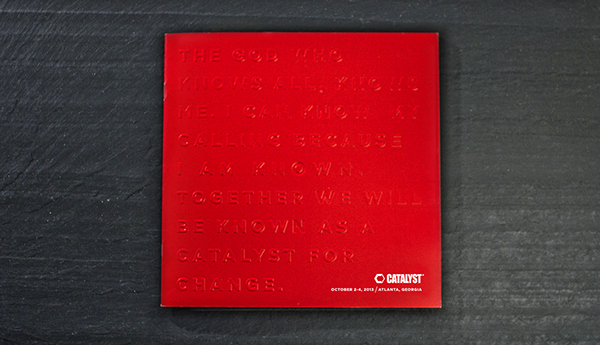 The cover of the brochure contained text that used both embossing and debossing on the same surface – the brand's message subtly being "hidden" or "unknown" in the raised lettering, while the letters "k-n-o-w-n", scattered throughout the message, were debossed into the cover to reveal the theme name reversed out of the theme message. 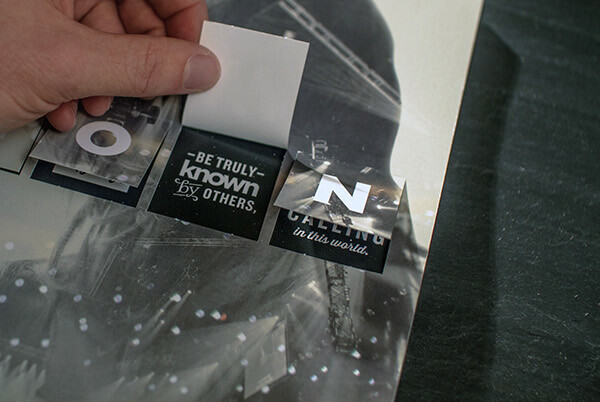 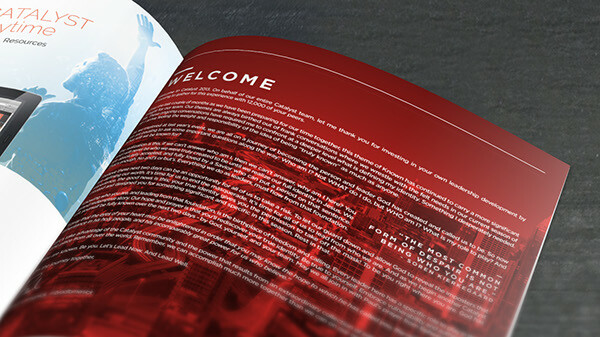 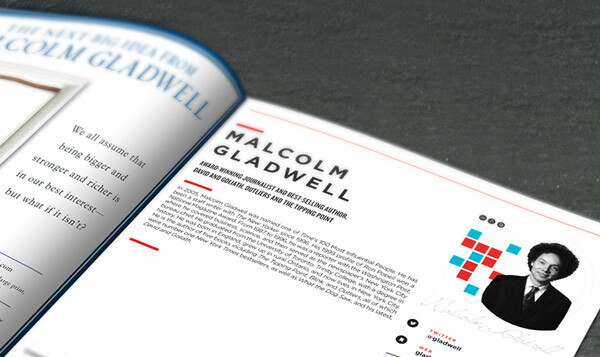 Toward the end of the brochure, we created a special accordion fold-out page to prompt the message "You're Invited To Be" with the interior accordion spread showcasing the brand lockup superimposed over exciting experiential images from past conferences. 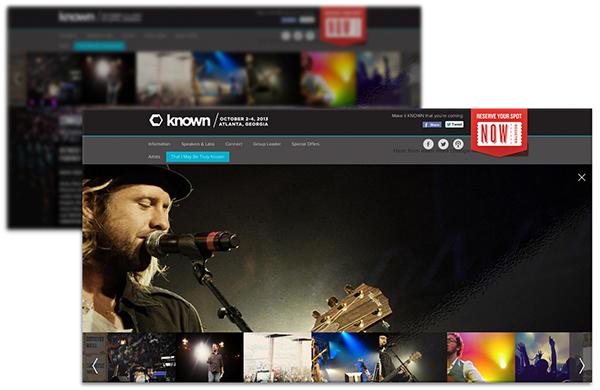 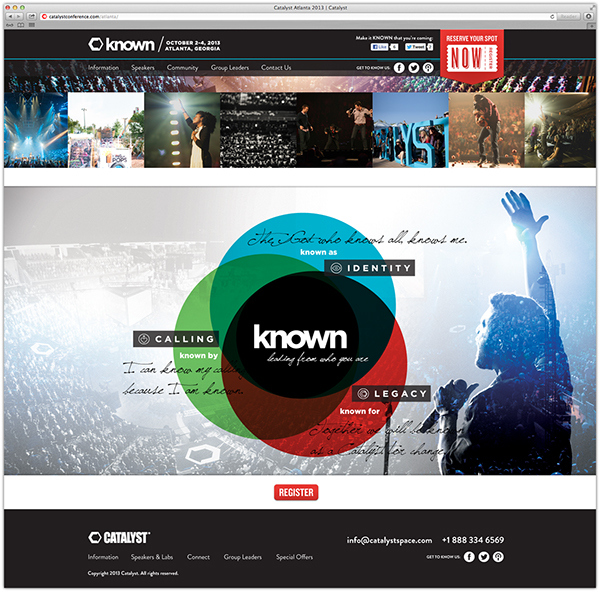 To further drive the brand's concept of design being revealed in layers, the homepage featured a wide, responsive hero image that had a self-contained, auto-playing/looping video showing previous conference experiences through the transparent logo window. 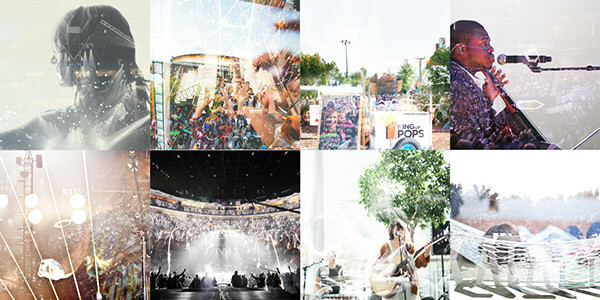 Below is a sample gif of the function of the hero image (the actual video was a longer loop). 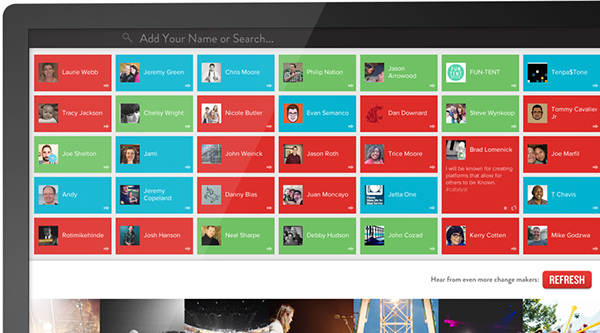 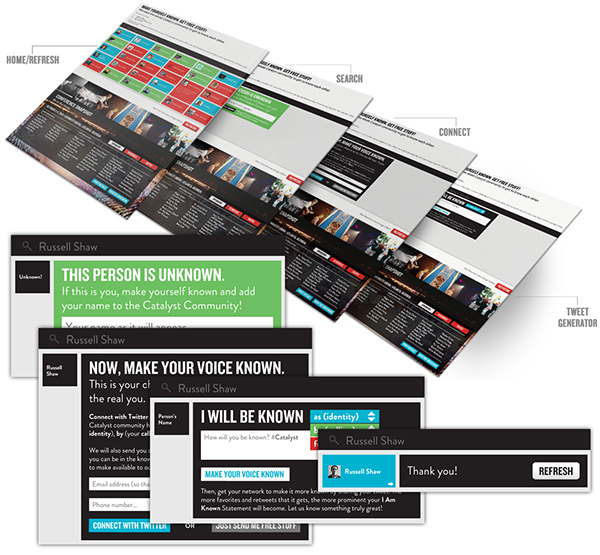 To bring an interactive component to the site, a custom field was created prompting users to "Make Yourself Known" – with a custom form that linked users' Twitter information to the site and prompted them to send out a tweet with the Catalyst hashtag and a statement about what they wish to be known as/by/for (identity/calling/legacy). 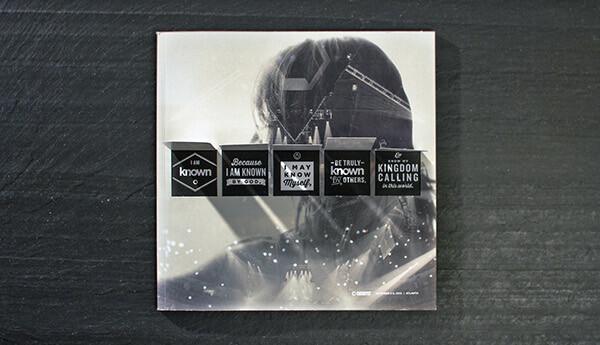 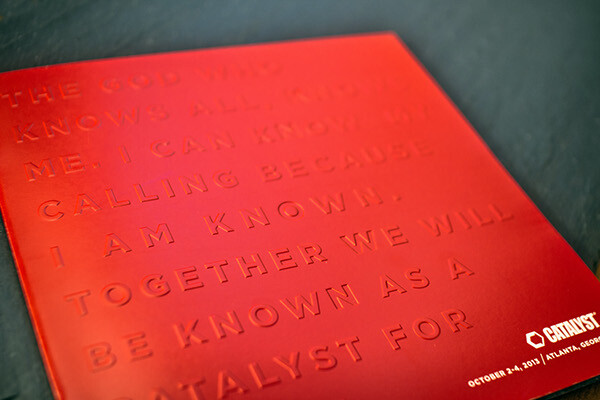 The cover of the event notebook featured five gate folds underneath the five conference theme letters – furthering the brand of creating "reveals" by letting the attendee open and close the gate folds and see the "I Am Known" messaging statement underneath when all were lifted open. 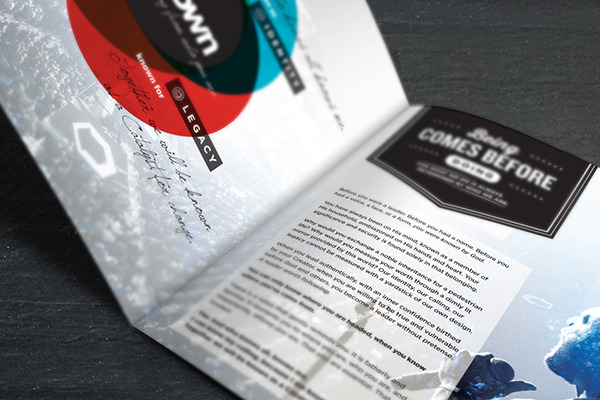 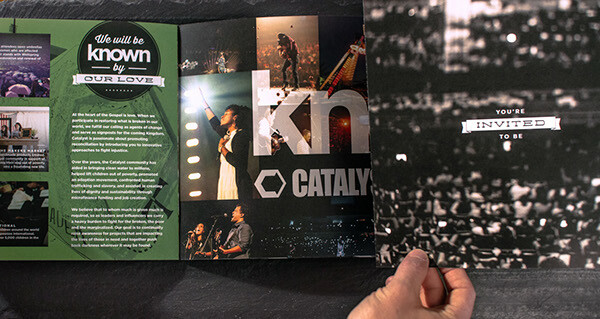 Another "reveal" concept featured throughout the pages of the event notebook were six scratch-off areas with different "unknown" prizes, giveaways, and discounts available to the first attendees to reveal the messages and present them to resource center staff at the conference. 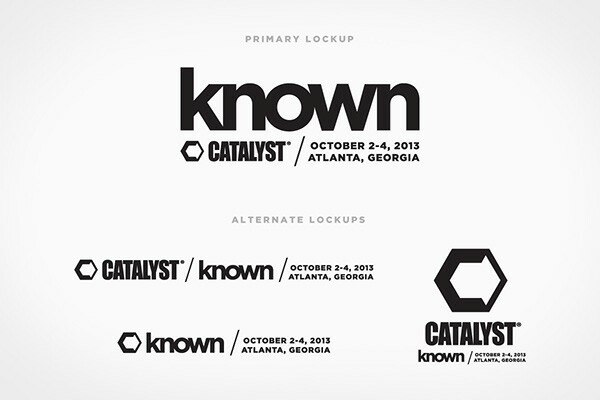 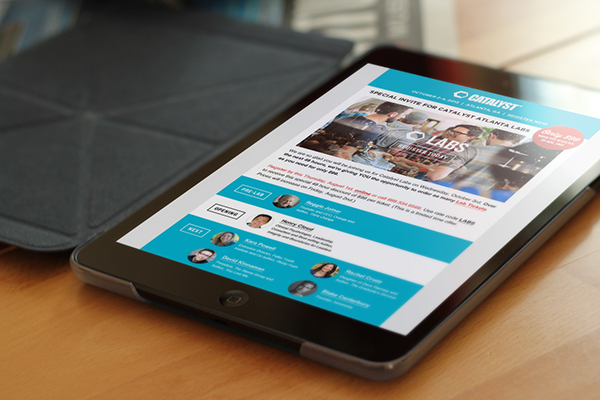 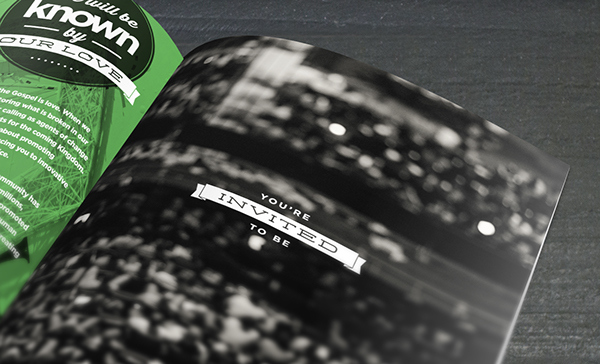 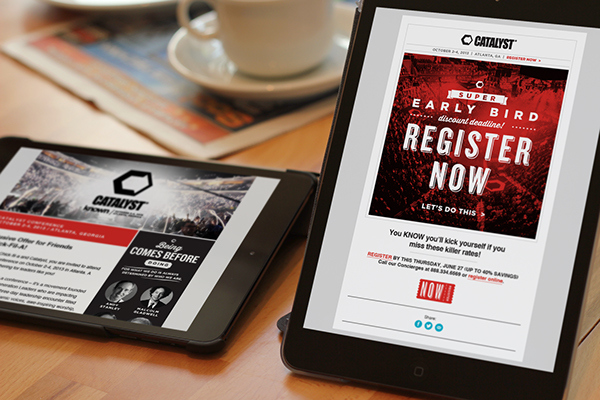 Brand design, art direction, and graphic design for Catalyst Conference's 2013 event, held in Atlanta on October 2-4. 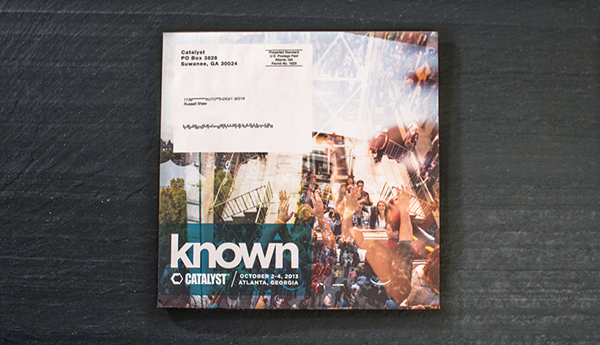 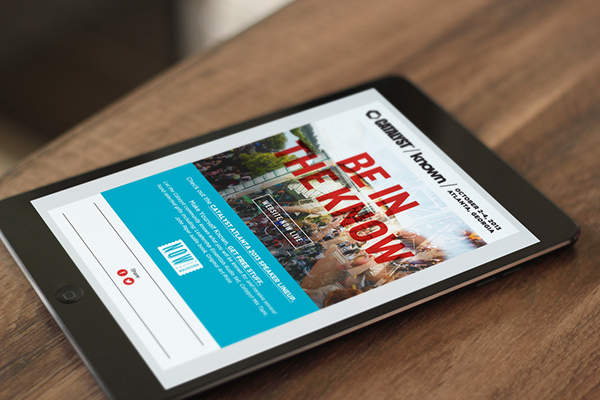 This year's theme, "Known," revolved around the idea that, as leaders, we each have a unique identity, calling and legacy; when we lead authentically from a place of knowing who we truly are, we will become leaders worth following.